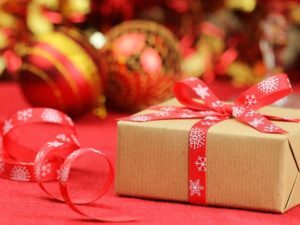 The Gift No One Returns ... - Anti-Age Naturally! For women it is watches, fine jewelry and anti-aging skincare. For men it is ties, wallets and … anti-aging skincare. Wow – who would have guessed that anti-aging skincare would be on the list for both men and women? Woo-hoo, finally the perfect gift. So, if you have people on your Christmas list that always return their gifts, give the gift of anti-aging skincare. And I have the perfect product. It doesn’t have a scent so it fits the bill for both men and women. It’s non-greasy and goes under any moisturizer or makeup. You can even wear it alone. And it happens to be one of my new favorite products. Let me introduce you to … Vitamin C Serum+. Well, the only thing different I have been using is Vitamin C Serum+. Vitamin C helps build collagen and protects the skin from free radicals. It also brightens and evens skin tone. But in this formula you have other ingredients working with the Vitamin C to lighten and tighten the skin. And the Botanical Hyaluronic Acid in this product makes up for the lost Hyaluronic Acid in your skin. Hyaluronic Acid (HA) attracts and holds water in the skin. As we age we lose what we have but it can be replenished. HA also helps you to absorb other nutrients you are putting into you skin. That’s why having it with the Vitamin C helps you get the most of every application. Aloe Barbadensis leaf also increases the production of collagen and HA. In fact, a recent Japanese study showed aloe reduced facial wrinkles in women over 40. Methylsulfonylmethane, also known as MSM, works together with Vitamin C to build new, healthy tissue. It provides elasticity to the skin and is a natural free-radical scavenger. It has also been used to improve skin color, reduce rosacea and acne. 2-Amino-5-guanidinopentanoic Acid is an amino acid that returns a healthy glow to your skin because it increases blood flow to the area. Centella asiatica, also known as gotu kola, increases blood flow and strengthens the skin. It also heals wounds and boosts antioxidant activity in the skin. And, like Vitamin C, it boosts collagen production and improves elasticity. Horsetail plant extract has anti-inflammatory properties that improve the firmness of the skin and reduces pore size. Because the horsetail plant extract contains silica, it can also help form collagen. Geranium extract tightens the skin by contracting the muscles. Tighter skin means less wrinkles and sagging. It also has anti-inflammatory properties, is used to rejuvenate skin, and promotes radiant skin. Dandelion extract has powerful antioxidant properties. It balances the skin with minerals and hydrates the skin with potassium. Much like HA, it helps the skin retain moisture. But what’s even more impressive is it prevents cell death. So it slows down skin aging. Who on your holiday list wouldn’t want this? CLICK HERE to get that perfect gift no one returns. Fitzpatrick RE., Et. al. Double-blind, half-face study comparing topical vitamin C and vehicle for rejuvenation of photodamage. Dermatol Surg. 2002. Carpenter KJ. The discovery of vitamin C. Ann Nutr Metab. 2012. Manela-Azulay M., Et. al. Cosmoceuticals vitamins. Clin Dermatol. 2009. Miyuki Tanaka, Et. al. Effects of plant sterols derived from Aloe vera gel on human dermal fibroblasts in vitro and on skin condition in Japanese women. Clin Cosmet Investig Dermatol. 2015. Enzo Berardesca MD., Et. al. Combined effects of silymarin and methylsulfonylmethane in the management of rosacea: clinical and instrumental evaluation. Journal of Cosmetic Dermatology. 2008. Lupo MP. Antioxidants and vitamins in cosmetics. Clin Dermatol. 2001. Sato Y., Et al. Ascorbic acid deficiency leads to epidermal atrophy and UVB-induced skin pigmentation inSMP30/GNL knockout hairless mice. J Invest Dermatol. 2012. Farris PK. Topical vitamin C: a useful agent for treating photoaging and other dermatologic conditions. Dermatol Surg. 2005. Kwon MC., Et. al. Enhancement of the skin-protective activities of Centella asiatica L. Urban by a nano-encapsulation process. J Biotechnol. 2012. Somboonwong J., Et. al. Wound healing activities of different extracts of Centella asiatica in incision and burn wound models: an experimental animal study. BMC Complement Altern Med. 2012. Lidiane Advincula de Araujo, Et. al. Use of silicon for skin and hair care: an approach of chemical forms available and efficacy. An Bras Dermatol. 2016. Carsten Grundemann, Et. al. Equisetum arvense (common horsetail) modulates the function of inflammatory immunocompetent cells. BMC Complement Altern Med. 2014. Naho Maruyama, Et. al. Suppression of Carrageenan- and Collagen II-Induced Inflammation in Mice by Geranium Oil. Mediators Inflamm. 2006. Yafan Yang, Et. al. Dandelion Extracts Protect Human Skin Fibroblasts from UVB Damage and Cellular Senescence. Oxid Med Cell Longev. 2015.